BBL is a new advanced treatment for sun damage, facial capillaries, redness, rosacea, pigmentation and general skin rejuvenation. The treatments also improve general skin texture with an added value of reduction of pore size. 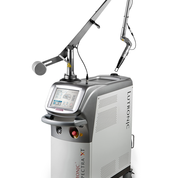 Darlinghurst Dermatology Skin & Laser Clinic uses the Cutera Excel V Vascular Laser to offer a safe and effective solution for a number of conditions. These include not only spider veins and leg veins, but also rosacea, port wine stains, surgical scars and cherry angiomas. The erbium laser is suited for moles and lesions and for resurfacing skin on people who have mild to moderate wrinkles, sun damage, or acne scarring. The best of both worlds incredible results and minimal downtime! Scitons ProFractional Laser resurfaces a portion of the skin to effectively treat a wide variety of conditions, while leaving surrounding skin intact to promote rapid recover. Gold Toning/RuVY Touch/Revital Treatment. Spectra XT is the latest new cutting edge device. The Spectra XT is called "The Extended Platform" because of its widely - extended clinical indications and applications as compared to previous similar devices currently oon the market. In particular, its newly extended treatments, namely "Gold Toning" with 595 mn, "RuVY Touch" with 660 nm and "Revital Treatment" with 1064 nm quasi-long pulse offer more treatment choices to both the doctor and the patients.